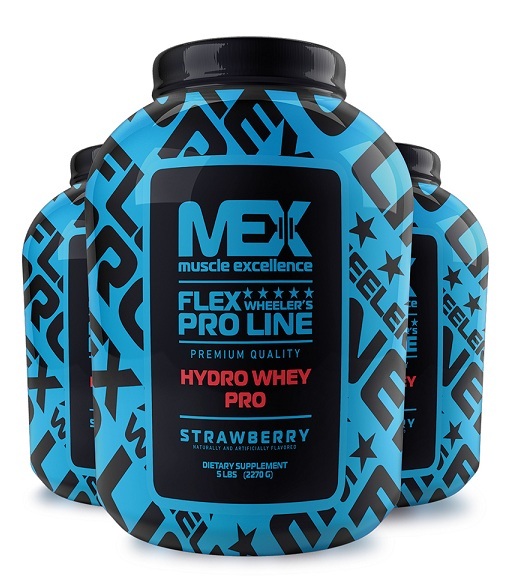 MEX HYDRO WHEY PRO is produced from the milk of grass-fed cattle from GMO-free farms and is extracted and filtered ina low-temperature process without the impact of chemicals and harsh conditions. Both the concentrate and the isolate in HWP are produced by ultrafiltration and dried in two steps in temperatures under 160°F (71°C). This preserves important bioactive protein. MEX HYDRO WHEY PRO is instantized and agglomerated, which means you can mix it well without a shaker, using just a spoon and glass. Because it is free of harsh chemicals and its lactose content is minimized to insignificant levels, it is very easy to digest and stomach upset is not to be expected even in very sensitive individuals. * Percent Daily Values (DV) are based on a 2 000 calorie diet. Whey Protein Isolate, Ultra and Micro-Filtered Whey Protein Concentrate, Whey Peptides, Natural and Artificial Flavoring, Xanthan Gum, Soy Lecithin, Acesulfame Potassium, Sucralose. 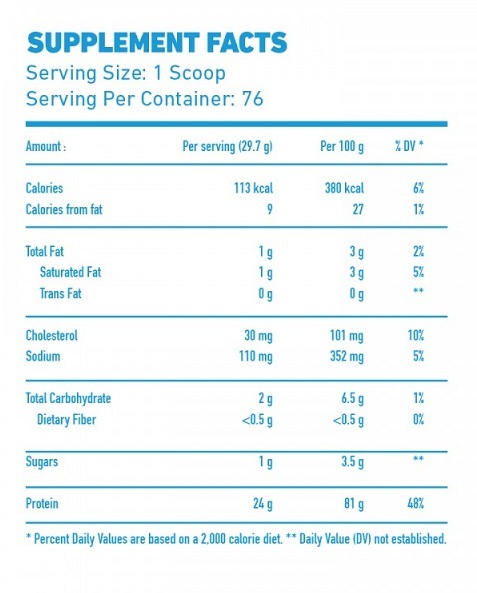 Add one scoop of MEX HYDRO WHEY PRO to 6-8 oz (about 220 ml) of water, skim milk, or your favorite non-acidic beverage. Shake in a shaker for 20 -30 sec.